The Dover Police Department Criminal Investigations Unit is seeking a suspect from a Sunday morning burglary at 1506 North Little Creek Road. Theodore Jackson (40), broke into his ex-girlfriends residence, causing $100 in damage to a door and lock. Once inside, Jackson stole a debit card from the victim’s wallet. The victim arrived at the residence and found the suspect inside the residence. The suspect left the residence and later used the card at a local WAWA convenience store to withdrawal $200.00 from the victims account. Jackson currently has an active warrant on file for 2nd Degree Burglary, Theft under $1500.00, Criminal Mischief, and Unlawful Use of a Credit Card. The image below is taken from a 2012 arrest file. 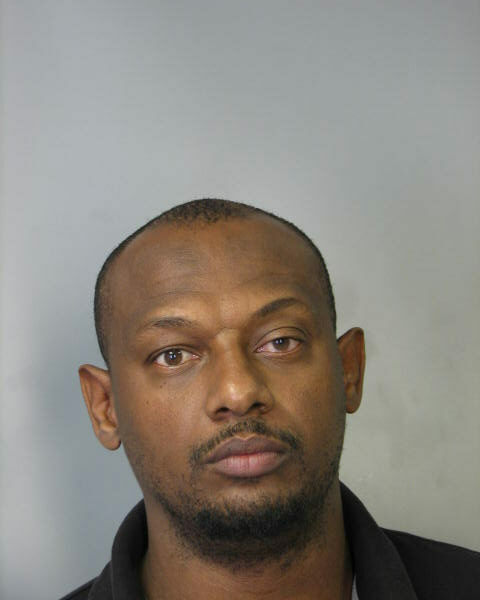 Update:On Wednesday, April 9th, Theodore Jackson turned himself in at the Dover Police Department in reference to the above case/charges. Jackson was arraigned at Justice of the Peace Court 7 and released on a $1600.00 unsecured bond.